Jackson Maine is a celebrated musician who regularly performs at sold-out concerts. He is an alcoholic, but has been able to keep this vice away from the prying eyes of the public. Ally is a young waitress who works with her friend, Ramon. She also moonlights as a singer at a drag bar, showcasing a remarkable songwriting talent. One night, Jackson pays a visit to the drag bar so he may witness Ally’s singing firsthand. Impressed with her talent, they share a drink. Ally reveals she has never considered pursuing a professional career due to being told she has a big nose. Shocked at this revelation, Jackson asks Ally to come to his show. Though hesitant at first, she does take him up on his offer whereupon Ramon convinces her to go out and sing on stage. Bradley Cooper’s directorial debut A Star is Born is notable for being the third remake of the 1937 film starring Janet Gaynor. The original film and its first remake, the latter of which starred Judy Garland, revolved around Hollywood. The third version, which premiered in 1976, starred Barbara Streisand and turned the story into a musical. Accordingly, the trials and tribulations the protagonists faced were based within the music industry instead. Mr. Cooper’s version could be said to be a musical, but it’s not exactly a straight example of one. This is because the singing performances are all diegetic; it’s not as though random strangers band together and perform perfectly choreographed dances. Despite having starred in numerous critically acclaimed films, certain critics weren’t entirely sold on Mr. Cooper’s acting abilities. A Star is Born removed any lingering doubts when they witnessed him bring his character to life. When you see his performance, you get a sense of the charisma this person has. You will believe that he is the kind of person capable of playing to sold-out crowds of adoring fans who, in turn, cheer the exact second they hear his famous lyrics. At the same time, you get a sense of how secretly broken this character truly is. He was raised by an alcoholic, neglectful father, survived a failed suicide attempt, and suffers from tinnitus, which only exacerbates his deep-seated issues, particularly when he is made to play in front of the loud speakers onstage. Don’t be surprised when you’re watching this film that you have to actively remind yourself Bradley Cooper is the one playing him. In fact, what makes A Star is Born such an admirable effort is how the actors and actresses transform before your very eyes into their characters. Nowhere is this more evident than the actress standing opposite him: Lady Gaga. Given the larger-than-life quality of her most famous songs and performances, I couldn’t believe it was her playing such a meek character. Only after reading the cast list after seeing the first trailer would I discover her involvement. She too is perfectly in-sync with her character, Ally. In fact, a significant part of her arc has much basis in reality. Many of the issues Ally has about executives not liking her appearance mirror problems Lady Gaga has had with self-esteem. Knowing that, her decision to appear before an audience without her exotic makeup is all the more powerful. Along those lines, Andrew Dice Clay as Ally’s father, Lorenzo, is something that needs to be seen to be believed. By the 2010s, the comedian was considered something of a joke for his outdated humor and abrasive attitude. In A Star is Born, while certainly retaining his trademark presence, it is far more down-to-earth and not the least bit out of place. Seeing the performance Mr. Cooper managed to get out of him is nothing short of remarkable. Despite hearing he was in the film, I completely forgot about it until I saw his name show up in the end credits. Naturally, what makes this film such an enjoyable watch is that Lady Gaga and Bradley Cooper have an excellent chemistry together. You will get a sense of how important their characters are to each other, and they perfectly complement each other’s arcs. Indeed, it is when Ally’s career begins gaining traction that the full scope of the conflict is allowed to manifest. After gaining a manager in the form of the overbearing, unlikable Rez, he absolutely lives up to the popular, negative perception of music executives. It’s especially uncomfortable watching him force Ally to put on make-up and dye her hair in light of her initial self-esteem issues. I can imagine the artistically minded audience members cringed when Rez forces her to ditch her personality and write a manufactured, insipid pop song. As this is going on, Jackson’s career and life plunge into a downward spiral. Despite their wedding being a moment of great joy for him, things only go downhill from there. He has been clean and sober for a period of time, but it is when his personal demons begin getting the better of him that he begins to relapse. His absolute lowest point occurs when Ally wins a Grammy for “Best New Artist”. He shows up to the ceremony completely drunk and he proceeds to storm the stage and ramble incoherently during Ally’s acceptance speech. This is then capped off when he urinates himself on stage in front of millions of viewers. Wishing to help him regain his confidence, Ally wishes for Jackson to accompany her on her European tour. When Rez refuses her terms, Ally cancels the tour so she may take care of Jack. An outraged Rez tells Jackson in no uncertain terms that, as a washed up musician, he will always hold Ally back as long as he remains married to her. Ally lies to Jackson about the canceled tour, claiming she is working on her second album, but he has taken Rez’s speech to heart. As Ally is performing at a concert, Jackson downs an entire bottle of vodka, ingests a bottle of pills, and hangs himself in his garage with his own belt. This juxtaposition is fantastically executed; the death of a long-running carrier is paired with the birth of an upcoming one. In many ways, Rez’s attitude reflects the cutthroat nature of the music industry. They are all too willing to nurture a rising star, yet when they become even slightly inconvenient for them, they drop them like a lead balloon. At the same time, these cynical executives are unable to grasp that an artist can have a lasting appeal long after their time in the sun has passed. Though he does have something of a point in that Jackson’s self-destructive behavior will reflect poorly on Ally, his breaking speech dashes any redeeming qualities he possessed. While he doesn’t suffer any onscreen consequences for his actions, it’s implied his future isn’t bright. Given that Ally’s final performance in the film has her tone down her make-up, returning to a more natural appearance, it’s entirely possible she will continue without Rez’s toxic influence. It’s a bittersweet consolation because while Ally’s career will continue to soar, it’s clear she will remain forever haunted by Jackson’s fateful decision. Amid the critically acclaimed directorial debuts in 2018, Bradley Cooper’s A Star is Born stands out in a number of ways. Whereas the directors behind contemporary debuts such as Hereditary, Searching, and Blindspotting were practical nonentities until their work screened for the first time, even infrequent moviegoers knew who Bradley Cooper was, for he had starred in many lauded pictures throughout the 2010s. Interestingly, he originally aspired to be a director, but he ended up turning his attention to acting. No one expected him to create something that not only did the original story justice, but also received multiple Academy Award nominations – including “Best Picture”. The critical circle was extremely skeptical about his work for a number of reasons. 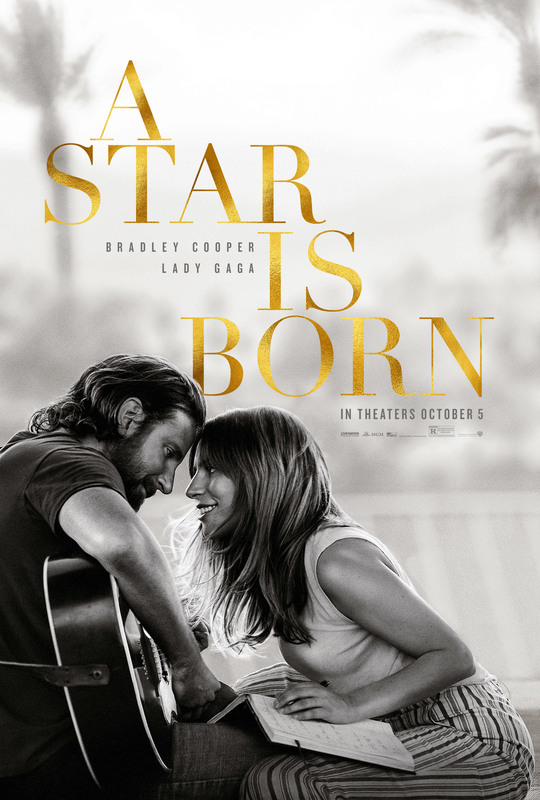 Not only had Mr. Cooper never directed a film before, Lady Gaga never played a starring role, and this was to be the fourth version of a classic Hollywood feature. Once the trailers debuted, the critics were forced swallow their pride and admit that they had jumped the gun. When it premiered, their initial backlash seemed downright foolhardy. 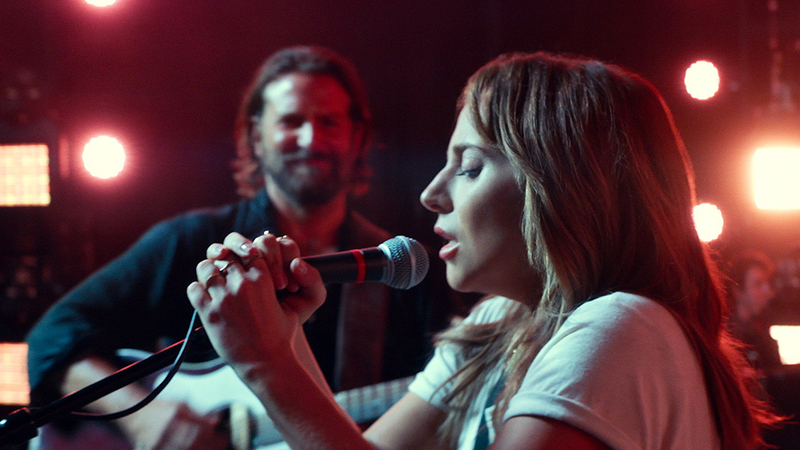 With a memorable soundtrack, a compelling story, and admirable performances all around, this version of A Star is Born stands out as one of 2018’s stonger efforts. It was easily my favorite film of last year and one I’ll revisit often. I definitely think it was one of the better films from 2018. I would have to say I liked Spider-Man: Into the Spider-Verse, Leave No Trace, and The Hate U Give more, but A Star is Born was solid as well – definitely one of the better Oscar nominees if nothing else. I think I’ll probably have to make a list of the ten best films of the year in addition to my From Best to Worst Oscar list because this is the first year I can think of in which my favorite film wasn’t even nominated. It was the last one I watched out of the movies nominated for Best Picture, and a lot of that stemmed from a negative perception I had regarding the movie. Well, perhaps I should not say negative, but all those factors – which you mentioned – that led critics to dismiss the movie before it came out also led me to be a bit cold about it. But boy, was I wrong. It was an absolutely amazing acting job by Cooper and Gaga, and the former also excelled as a director. It was a touching story and I will not think the Academy screwed up if the film ends up bringing in many awards when the night of the ceremony comes around. Yeah, it reminds me a lot of the preemptive backlash behind The Wind Waker. The only difference is that it was the alleged professionals who were behind this one, which makes it even less excusable. Now that it has received rave reviews and several Oscar nominations, those journalists look downright foolish in hindsight. I’m sure that given the headspace of the modern film critic, they will never, ever make that mistake again. Ever. Not in a million years. Anyway, the film itself is very good; it’s not quite my favorite of the nominated films, but if it wins, I’ll be glad for the people who made this film because they deserve it.